Comforts corns, bunions, bruises, ingrown toenails and even fingers! 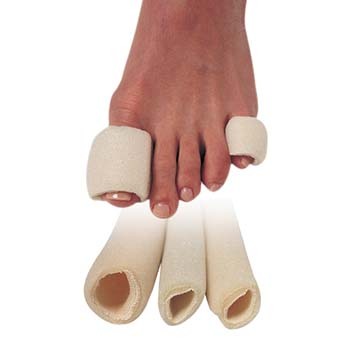 Tubular bandages that you trim-to-fit for toe or finger. Soft, breathable foam is lined with cotton to reduce friction and pressure. Three 3" strips per package. Assortment pack includes one of each size.